Mount Joy Square Shopping Center (next to Isaac's). 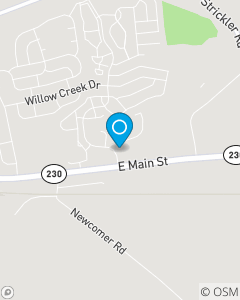 Minutes from Lancaster and Elizabethtown, PA.
8:30 - 5:00 Mon - Fri.
Our mission is to provide the Mount Joy and surrounding community with value for their insurance needs through superior personalized service. Our team will focus on building relationships and will help our customers make well informed decisions that can positively impact their future. I am very proud of the team that I have to help service your needs! Whether you need to make a payment, need an id card, update vehicles, or need to get a quote on current or future product we can make the process easy!